Р‘РµСЃС‚РµСЂ, РђР»СЊС„СЂРµРґ (Bester, Alfred) (18 РґРµРєР°Р±СЂСЏ 1913, РќСЊСЋ-Р™РѕСЂРє - 30 СЃРµРЅС‚СЏР±СЂСЏ 1987, Р”РѕР№Р»СЃС‚Р°СѓРЅ, РџРµРЅРЅСЃРёР»СЊРІР°РЅРёСЏ [Doylestown, Pennsylvania]) - Р°РјРµСЂРёРєР°РЅСЃРєРёР№ РїРёСЃР°С‚РµР»СЊ-С„Р°РЅС‚Р°СЃС‚. Р‘С‹Р» Р¶РµРЅР°С‚ РЅР° Р РѕР»Р»Рё Р“СѓР»РєРѕ (Rolly Goulko, 16 СЃРµРЅС‚СЏР±СЂСЏ 1936). РџРµСЂРІР°СЏ РќР¤ РїСѓР±Р»РёРєР°С†РёСЏ - СЂР°СЃСЃРєР°Р· "Р Р°Р·Р±РёС‚Р°СЏ Р°РєСЃРёРѕРјР°" ("Brocken Axiom", 1939). РџСѓР±Р»РёРєРѕРІР°Р»СЃСЏ С‚Р°РєР¶Рµ РїРѕРґ РїСЃРµРІРґРѕРЅРёРјР°РјРё РЎРѕРЅРЅРё РџР°СѓСЌР»Р» (Sonny Powell), Р”Р¶РѕРЅ Р›РµРЅРЅРѕРєСЃ (John Lennox). РћР±Р»РѕР¶РєР° Р¶СѓСЂРЅР°Р»Р° "Р“СЌР»СЌРєСЃРё" (1952. Jan) СЃ РЅР°С‡Р°Р»РѕРј СЂРѕРјР°РЅР° "Р§РµР»РѕРІРµРє Р±РµР· Р»РёС†Р°". РҐСѓРґРѕР¶РЅРёРє . РђРґР°Рј Р±РµР· Р•РІС‹ /РџРµСЂ. СЃ Р°РЅРіР». Р•. РҐРѕРґРѕСЃ //РђРЅС‚РѕР»РѕРіРёСЏ РјРёСЂРѕРІРѕР№ С„Р°РЅС‚Р°СЃС‚РёРєРё: Рў. 1. РљРѕРЅРµС† СЃРІРµС‚Р°. - Рњ. : РђРІР°РЅС‚Р°+, 2003. РЎ. 41-52. Р’С‹ РїРѕРґРѕР¶РґРµС‚Рµ? /РџРµСЂ. СЃ Р°РЅРіР». Р’Р». Р“Р°РєРѕРІР° Рё Р’. Р“РѕРїРјР°РЅР° //Р”СЂСѓРіРѕРµ РЅРµР±Рѕ: РЎР±. Р·Р°СЂСѓР±РµР¶РЅРѕР№ РќР¤. - Рњ. : РџРѕР»РёС‚РёР·РґР°С‚, 1990. РЎ. 384-394. Р’С‹Р±РѕСЂ /РџРµСЂ. СЃ Р°РЅРіР». Р’. Р‘Р°РєР°РЅРѕРІР° //Р“РµСЏ: РЎР±. РЅР°СѓС‡РЅРѕ-С…СѓРґРѕР¶. Р¤. [РђР»СЊРјР°РЅР°С… РќР¤] - Рњ. : РњС‹СЃР»СЊ, 1990. РЎ. 346-355. РќРµ РїРѕ РїСЂР°РІРёР»Р°Рј /РџРµСЂ. СЃ Р°РЅРіР». Р’. Р‘Р°РєР°РЅРѕРІР° //РђРЅС‚РѕР»РѕРіРёСЏ РјРёСЂРѕРІРѕР№ С„Р°РЅС‚Р°СЃС‚РёРєРё: Рў. 1. РљРѕРЅРµС† СЃРІРµС‚Р°. - Рњ. : РђРІР°РЅС‚Р°+, 2003. РЎ. 303-329. РџСѓС‚РµРІРѕР№ РґРЅРµРІРЅРёРє /РџРµСЂ. Р•. РљРѕСЂРѕС‚РєРѕРІРѕР№ //РљРѕРЅС„РёРіСѓСЂР°С‚РѕСЂ: РЎР±. СЋРјРѕСЂРёСЃС‚РёС‡РµСЃРєРѕР№ Р¤. - Р›. : Р›РµРЅРёРЅРіСЂР°РґСЃРєРёР№ РєРѕРјРёС‚РµС‚ Р»РёС‚РµСЂР°С‚РѕСЂРѕРІ; Р”РѕРј СЃР°С‚РёСЂС‹ Рё СЋРјРѕСЂР°, 1990. РЎ. 30-34. The Demolished Man (n) //Galaxy, 1952. Jan/Mar. The Devil Without Glasses (nv) //Bester A. Virtual Unrealities. - Vintage, 1997. The Die-Hard (ss) //Bester A. Starburst. - Signet, 1958. Disappearing Act (ss) //Star SF Stories #2 /Ed. by F. Pohl. - Ballantine, 1953. The Flowered Thundermug (nv) //Bester A. The Dark Side of the Earth. - Signet, 1964. Ms Found in a Champagne Bottle (ss) //Status, 1968. Never Love a Hellhag (na) //The Omni Book of SF #7 /Ed. by E. Datlow. - Zebra, 1989. Out of This World (ss) //Bester A. The Dark Side of the Earth. - Signet, 1964. Travel Diary (ss) //Bester A. Starburst. - Signet, 1958. Something Up There Likes Me (nv) //Astounding /Ed. by H. Harrison. - Random, 1973. [Р‘.Р°.] Bester, Alfred //Р‘РёР±Р»РёРѕРіСЂР°С„РёСЏ С„Р°РЅС‚Р°СЃС‚РёРєРё. - Рњ. : РљРµР»РІРѕСЂРё, 1996. РЎ. 35-36. [Р‘. Р°.] РљРѕСЂРѕС‚РєРѕ РѕР± Р°РІС‚РѕСЂР°С… //РђРЅС‚РѕР»РѕРіРёСЏ РјРёСЂРѕРІРѕР№ С„Р°РЅС‚Р°СЃС‚РёРєРё: Рў. 1. РљРѕРЅРµС† СЃРІРµС‚Р°. - Рњ. : РђРІР°РЅС‚Р°+, 2003. РЎ. 603-604. [Р‘Р°Р±РµРЅРєРѕ Р’.] [Р‘.РЅ.] //РЎРѕРІСЂРµРјРµРЅРЅР°СЏ С„Р°РЅС‚Р°СЃС‚РёРєР°: РџРѕРІРµСЃС‚Рё Рё СЂР°СЃСЃРєР°Р·С‹ СЃРѕРІРµС‚СЃРєРёС… Рё Р·Р°СЂСѓР±РµР¶РЅС‹С… РїРёСЃР°С‚РµР»РµР№. - Рњ. : РљРЅРёР¶РЅР°СЏ РїР°Р»Р°С‚Р°, 1988. РЎ. 594. Р“Р°РєРѕРІ Р’Р». РЎРІРµРґРµРЅРёСЏ РѕР± Р°РІС‚РѕСЂР°С… //Р”СЂСѓРіРѕРµ РЅРµР±Рѕ: РЎР±. Р·Р°СЂСѓР±РµР¶РЅРѕР№ РќР¤. - Рњ. : РџРѕР»РёС‚РёР·РґР°С‚, 1990. РЎ. 570. Р’Р».Р“. Р‘РµСЃС‚РµСЂ РђР»СЊС„СЂРµРґ //Р­РЅС†РёРєР»РѕРїРµРґРёСЏ С„Р°РЅС‚Р°СЃС‚РёРєРё /РџРѕРґ СЂРµРґ. Р’Р». Р“Р°РєРѕРІР°. - Рњ. : РћРћРћ "РњРµР¶РґСѓРЅР°СЂРѕРґРЅС‹Р№ С†РµРЅС‚СЂ С„Р°РЅС‚Р°СЃС‚РёРєРё", 1997. CD-ROM (HTML). [Р‘.Р°.] Bester, Alfred //Tuck D.H., compl. 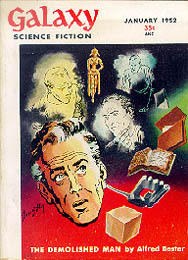 The Encyclopedia of Science Fiction and Fantasy. Through 1968. Vol. 1. - Chicago: Advent, 1974. P. 43. Ash B. Alfred Bester //Ash B. Who Is Who in Science Fiction. - Lnd. : Elm Tree Books, 1976. P. 43. [PN] Bester, Alfred //The Encyclopedia of Science Fiction. - Lnd. : Granada, 1981. P. 69. [PN] Bester, Alfred //The Encyclopedia of Science Fiction. - N.Y.: St.Martin's Press, 1993. P. 113-114. [PN] Bester, Alfred //The Multimedia Encyclopedia of Science Fiction. Ver. 1.0. - Danbury, CT: Grolier Electronic Publishing, Inc., 1995. Bester, Alfred //Who Goes There: A Bibliographic Dictionary of Pseudonymous Literature in the Fields of Fantasy and Science Fiction /Comp. by J.A. Rock. - Bloomington, Indiana: James A. Rock & Co., 1979. P. 14.